Erzullie Fierce Plus Size Fashion Philippines: ICON NEWS! KHRISELDA GUARIN IS FEATURED IN F*CK YEAH CHUBBY FASHION! ICON NEWS! KHRISELDA GUARIN IS FEATURED IN F*CK YEAH CHUBBY FASHION! We really pick them well! 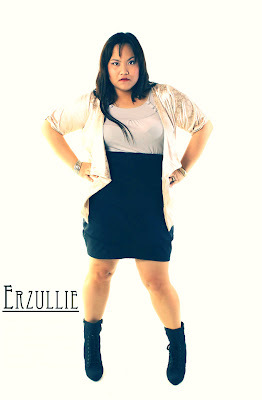 I am so proud and happy for our current Erzullie Icon, Khriselda Guarin for being featured in the international plus size fashion blog, F*ck Yeah Chubby Girls. She wore Erzullie for her entry and she got picked. THANK YOU! This only shows that we Pinays are international glamousaurus!